New green leaf vegetable in the family. What is it called? Every week I get a box with regional vegetables, and this time this one came. I tried looking for cabbage, but I could not find anything similar. Do you know what is it? How is it cooked? This looks a lot like a sweetheart cabbage... it does not look very new though. 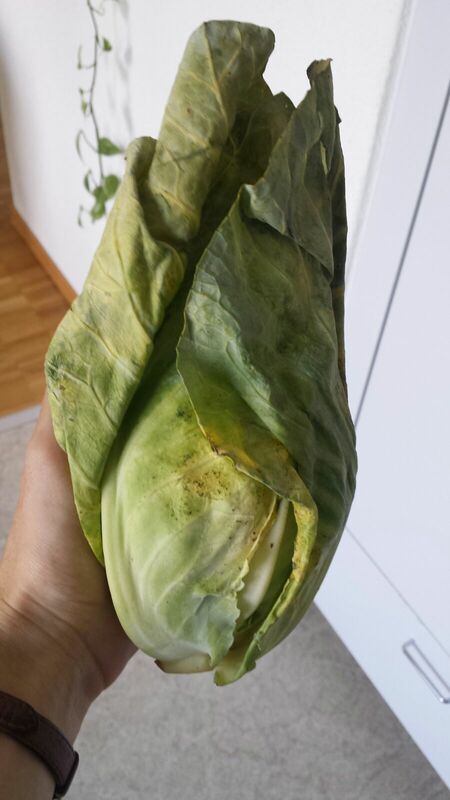 This is a pointed cabbage, there are many varieties and it's hard to say which one. Cooking-wise they are in general not as tough as round cabbages, and a bit sweeter. You still prepare them as any other cabbage, just reduce the cooking time a bit. I personally think that boiling this type is a waste, I usually saute them. What to do with dried vegetables that feel like a chewing gum?